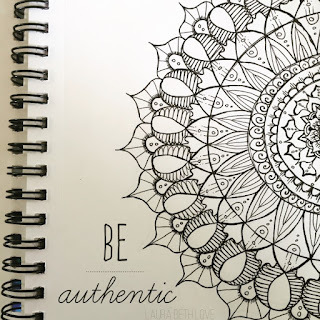 Drawing A Mandala: Be Authentic! 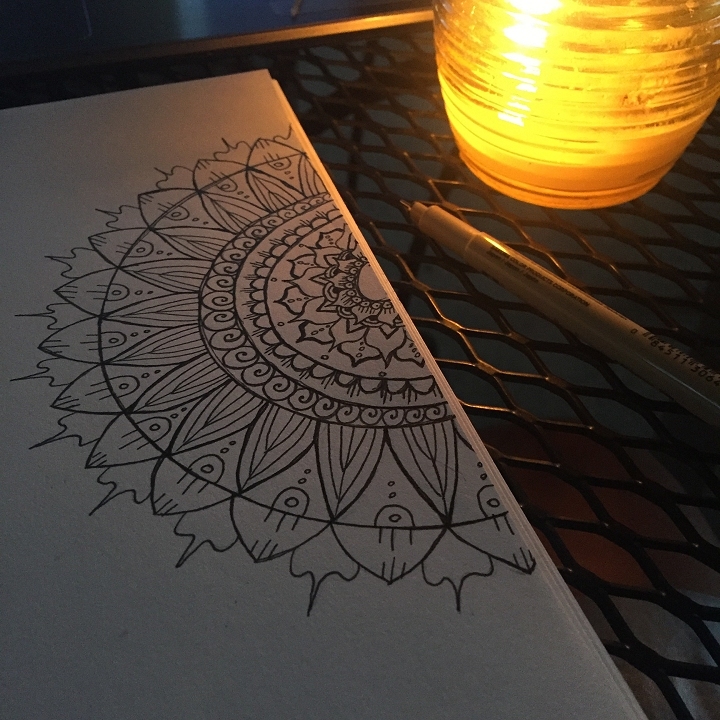 A few days ago I tried my hand at drawing a mandala for the first time ever, and it was a lot of fun! This type of drawing is meditative. It's a great way to relax and I found the repetitive pattern work to be extremely similar to creating pysanky, or Ukrainian Eggs, which I learned to make as a child. I am a firm believer in art as therapy and I also believe that you can (as with a vision board) manifest energy and positivity through art. 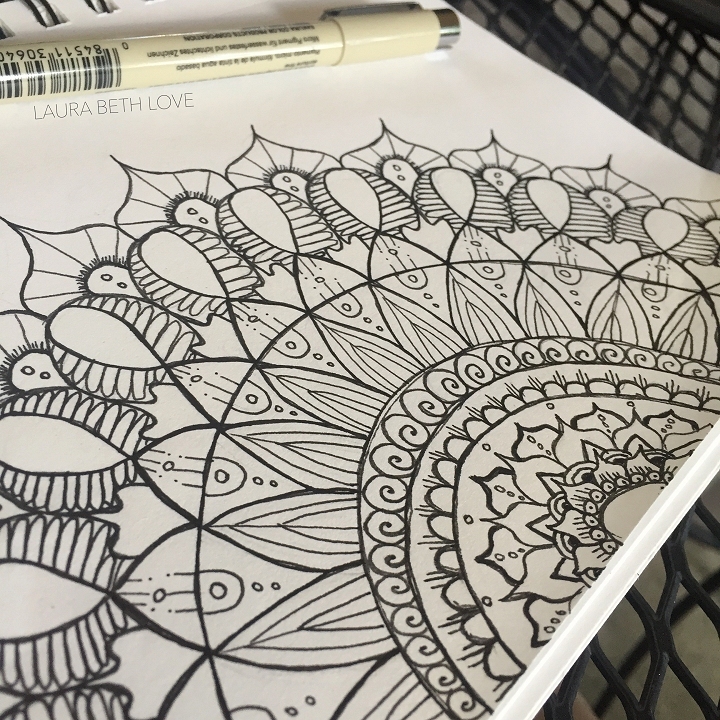 I began my mandala with a series of small simple circles and petals that formed the center of the mandala. I worked from the inside circle outward, creating new "layers" of design as I worked. I chose to work with half-circles from the edge of the page. This is my completed mandala. I considered painting it, but I think I like it too much just the way it is, black ink on white paper - so for now I am going to keep it just as it is. It might look complicated, but it really was pretty simple to make. You just draw one line at a time! And of course, if you look closely you will see little places here and there where I put in a few imperfections :) after all, that's what makes it unique and one of a kind. It's not mass produced, and it's not made with painstaking precision, it's a freehand-drawn piece of art that came from my heart. I call it authentic! After I completed the drawing, I added the Be Authentic text as digital art. In this age of too many selfies and too much social sharing of personal information online I fear that people begin to lose their authenticity in the process of trying to impress others. Be authentic! Thank you Stephanie! Have a great week! 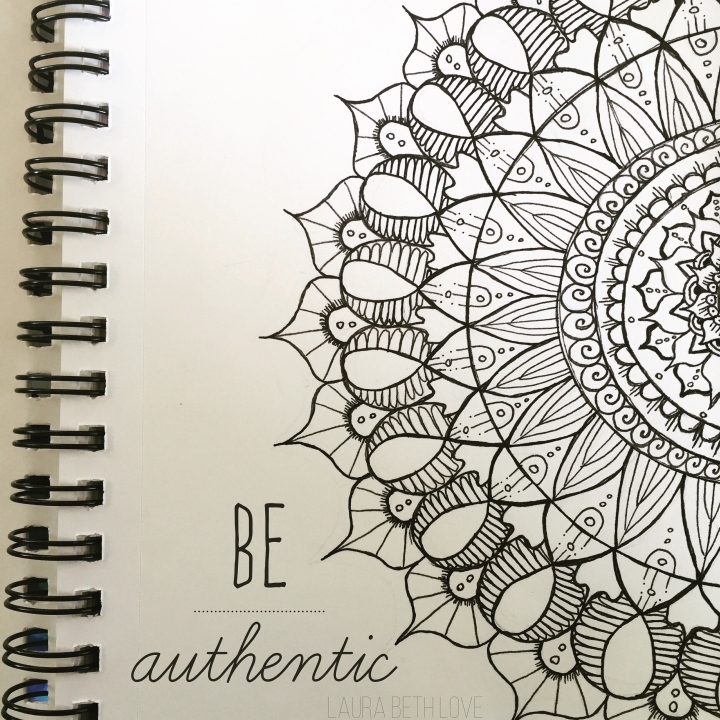 Beautiful mandala and great message! I think it looks great in black and white also. 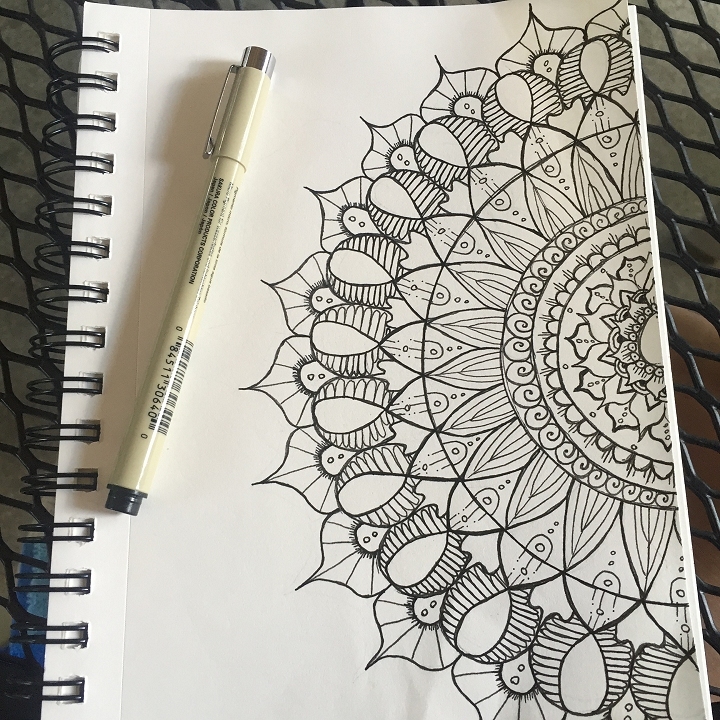 I would like to do this myself by beginning with the circles and then coming up with designs of my own. Love your be authentic thought for the day. So many of us are pulled back and hampered by trying to fit in and I don't think that is the reason we are here. It is always wonderful to be reminded of wise action. Thanks :) Feel free to share it!